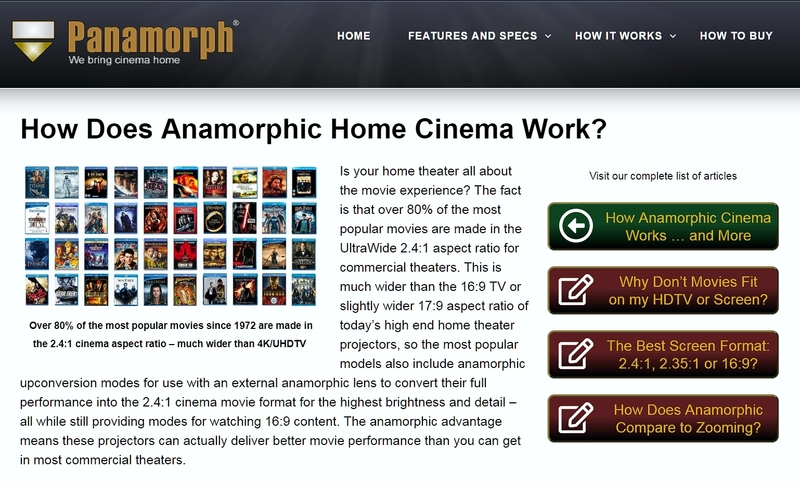 Using the new anamorphic projector modes in today’s most popular 4K home theater projectors from Sony, JVC, Digital Projection and Benq, anamorphic cinema provides up to 38% more brightness and 43% more pixels (Paladin DCR for 4K/4096/17:9 projectors) or 30% more brightness and 33% more pixels (Paladin for 4K/3840/16:9 projectors) compared to UHD letterbox projection for the brightest, most detailed movie experience in your theater – even beyond that of non-anamorphic commercial cinemas – while still providing multiple modes for watching TV content without moving the lens. 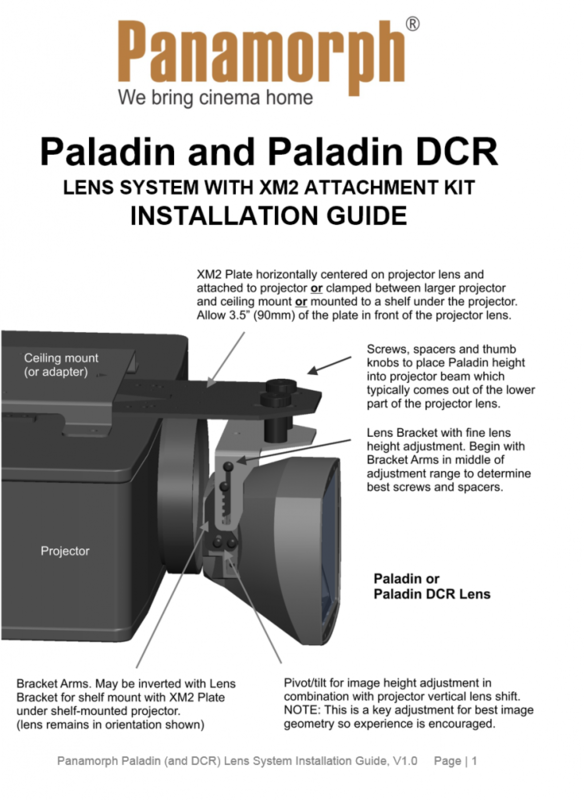 Paladin and Paladin DCR (Digital Cinema Resolution) lenses apply new vertical compression lens designs using patented, AR-coated, thin optical elements with integrated astigmatism correction for the highest clarity and transmission while also allowing significantly greater light through the projector’s primary lens compared to older horizontal expansion designs. New fixed-lens compatibility for showing any content in its proper aspect ratio on today’s projectors with instant push button control and no moving parts. Bulky lens transports and large attachment systems are no longer needed. Adjustable aspect ratio for 2.35:1 to 2.4:1 format projection screens (NOTE: 2.4:1 flat screens with standard width borders are highly recommended). Urethane rubber gaskets seal the lens interior from contaminants that can degrade contrast over time. 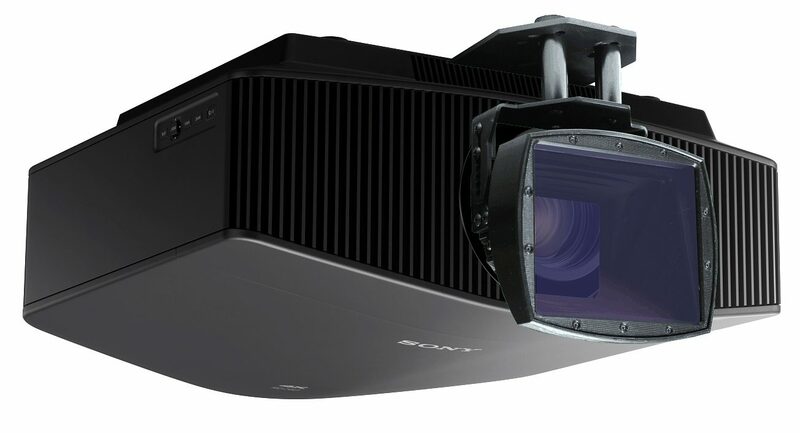 Includes the XM2 attachment kit for installation with most Sony, Epson and Digital Projection models. Click below for the Lens System Installation Guide. Attaches directly to Panamorph threaded holes in JVC projectors and ceiling mount holes in Sony projectors. Extremely simple mounting solution for fitted Sony and JVC projector models since lens positioning is designed into the XM2 plate. Works with all projector ceiling mount options. 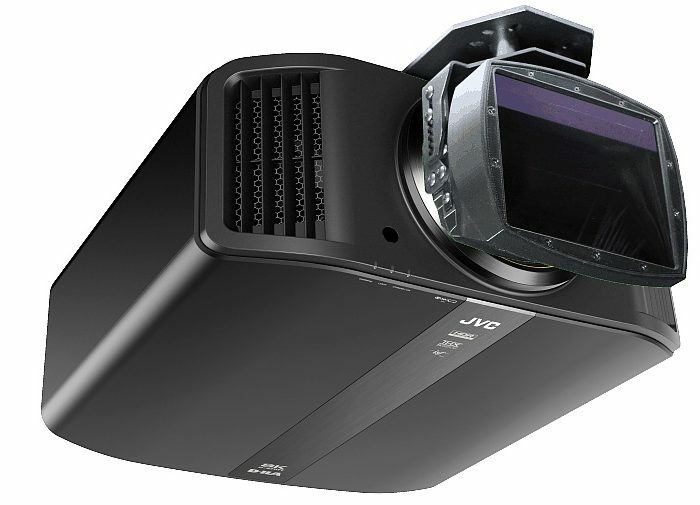 Optional use with large / heavy projectors such as Sony VPL-VW5000ES and Digital Projection models by clamping between ceiling mount and projector or by attaching to a shelf below the projector (plate must be positioned manually). XM2 Plate weight 3.8 pounds (1.66 Kg). Dimensions 8.0″ W x 17 3/8″ L x 0.17″ D (203mm x 442mm x 4mm). Parts and adjustments included for lens height and tilt. New ultra light-weight lens design – just 3.7 pounds (1.7 Kg) for maximum installation convenience – almost one-third the weight of our previous lenses. Reversible mounting for both ceiling mount and shelf mount projector configurations. Two year warranty for parts and service. Works with throw distances from 12’ to 36’. Edge distortion less than 0.006% of screen width at minimum throw ratio (1.4:1 minimum for Paladin DCR, 1.6:1 minimum for Paladin). Edge distortion decreases with longer throw distance for a given screen size. 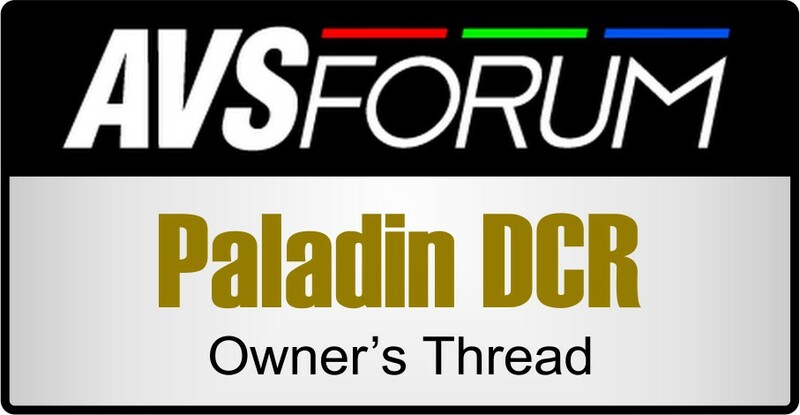 Paladin DCR Lens – 6.5″ W x 5.7″ H x 4.13″ D (165 x 145 x 105mm). Paladin Lens – 6.5″ W x 5.7″ H x 4.5″ D (165 x 145 x 114mm). Read hundreds of comments and pose your own questions to some of the most discerning and knowledgeable high end home theater enthusiasts (and DCR owners) from around the world. Panamorph, Inc. is not affiliated with Panavision, Inc.